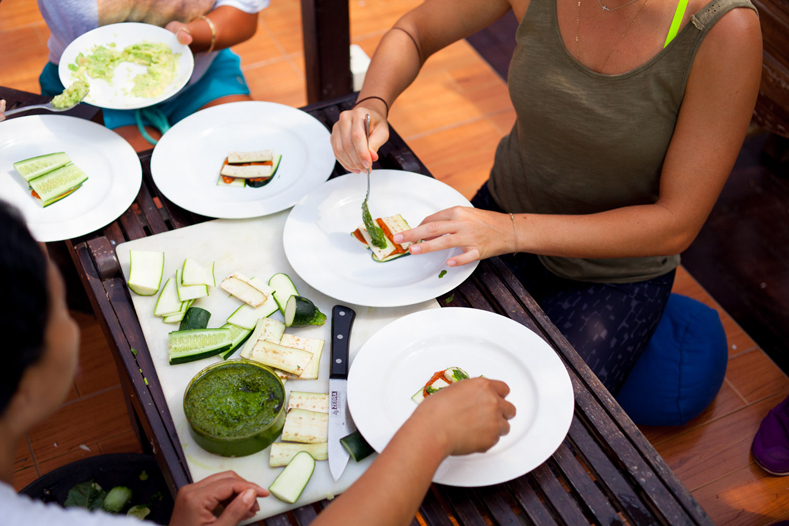 Inspired and energized by the local ingredients in some of the meals we were eating in Bali, we booked ourselves a raw food cooking class in Ubud to learn a couple new dishes. We let our stomachs guide the way as we selected our top 5 choices to create from the menu. 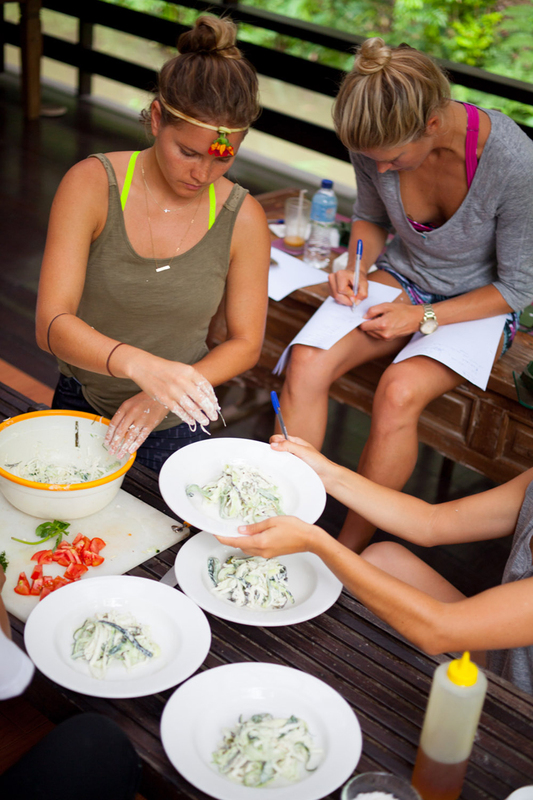 Want to make a raw lasagna dish of your own? Here’s how we made it! 1. To make the marinara sauce, Chop the tomatoes and place them in a blender along with the oregano, garlic, sundried tomatoes, fresh basil, the honey, dates and olive oil. Squeeze a hint of lime and the salt. Blend until all ingredients are combined for about 1 – 2 minutes. 2. 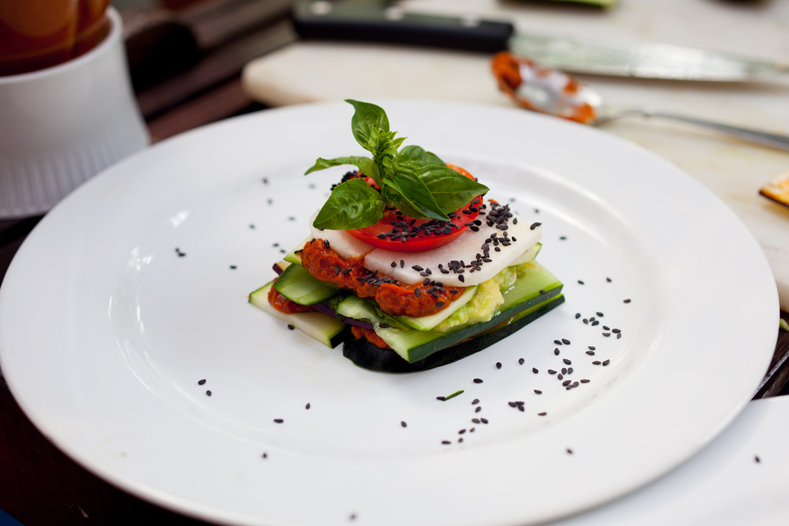 Slice your zucchini, eggplant and cucumber lengthways and cut them into even slices for layering. 3. Mash your avocado and set aside. 4. Place 2 even zucchini slices vertically side-by-side on a plate and spread with marinara sauce. 5. Follow by placing 2 slices of eggplant horizontally side-by-side on top and then spread with basil pesto. 6. Place 2 even cucumber slices vertically side-by-side and spread with mashed avocado. 7. Place 2 more slices of zucchini horizontally and spread with marinara sauce. 8. 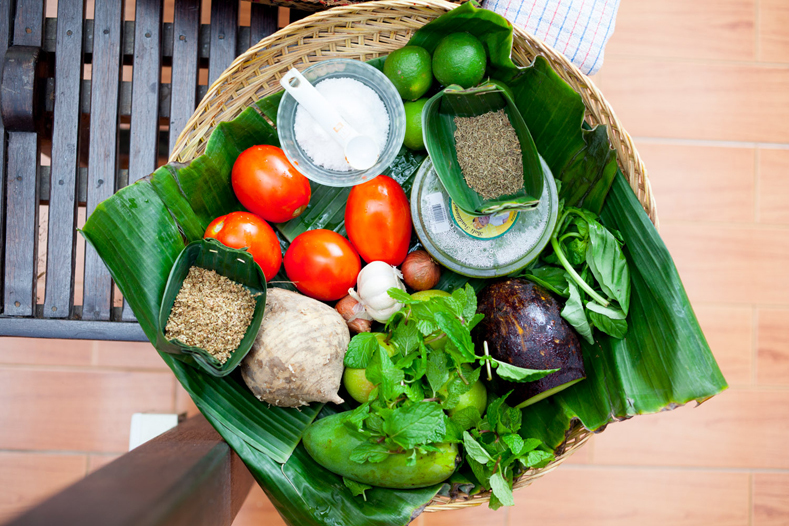 Top with jicama (or substitute) a slice of tomato, a few leaves of basil and garnish with some flax seeds. If you were wondering about Bruna’s unique headband she is wearing…it was made by a local woman at Bambu Indah. As we all sat for breakfast, an older woman approached us and gave each of us a beautiful flower headband handmade by the beautiful flowers from garden. 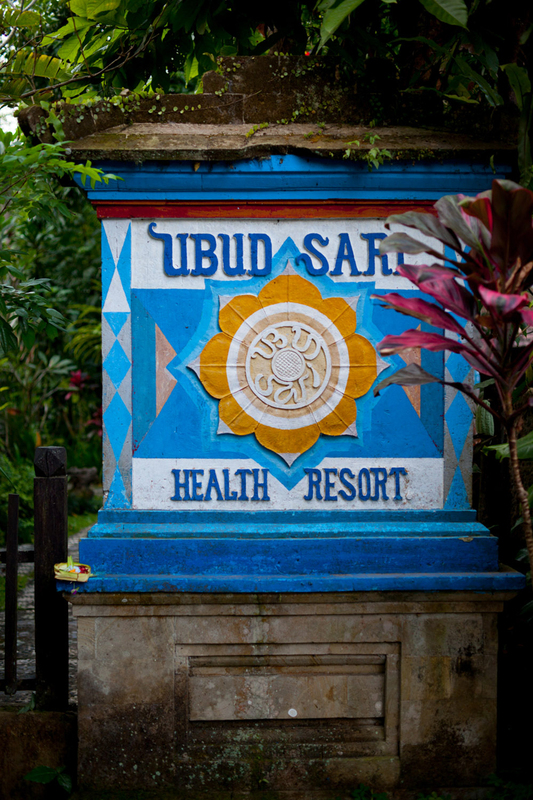 A sweet little gift and token of kindness we will always remember from our trip to Bali!